As we planned our excursion through northern Spain this August, It seemed appropriate to begin our trip from its southern neighbor because although tiny in size, it has an inpressive history of successful and innovative navigators and explorers. That, and the fact that our good friends opened their home and hearts to us inviting us into their family and Portugese hospitality. Arriving in Lisbon was pretty much a breeze except for the fact that our luggage was lost for a few days (note to self: avoid SATA airlines). For many of you who do a lot of traveling you will understand what I mean by, no luggage, no problem. It truly is a lesson in resourcefulness and creativity (not to mention patience) when everything you THINK you need is unavailable. It’s amazing what you can do without. Quite freeing, actually. Besides, all the important stuff we carried on. Everything else was just…well…baggage. 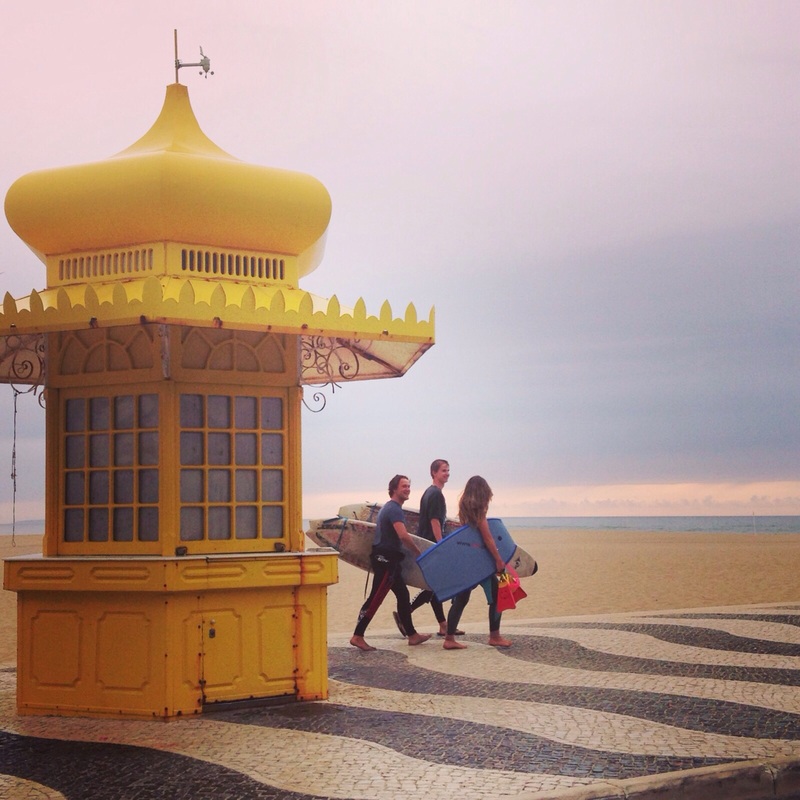 Our introduction to Portugal was especially sweet thanks to Silvia and family. We avoided the tourist areas and set camp in Silvia’s generational family home in a little village north of Lisbon called Barracao. How many places do you go where the hostess’s “tour of the house” includes the attached annex of the old stone barn that used to house animals, vegetables and a winepress? This was her grandparents home and it still has the charm of the old country with crocheted lace curtains, dark handcrafted furniture and signature Portugese wall tiles. 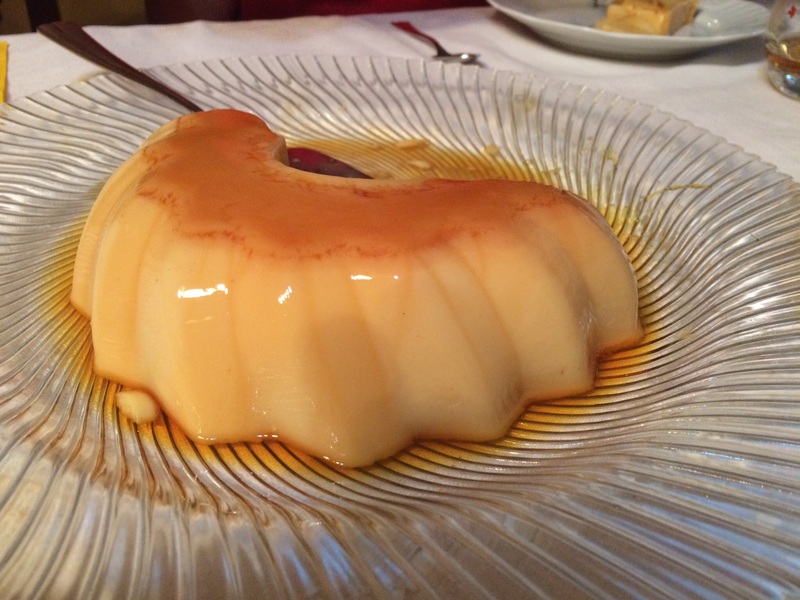 A dinner at her Aunt’s house just down the road was an all night affair starting at 9pm and ending many hours later with a sweet flan and even more drinks. 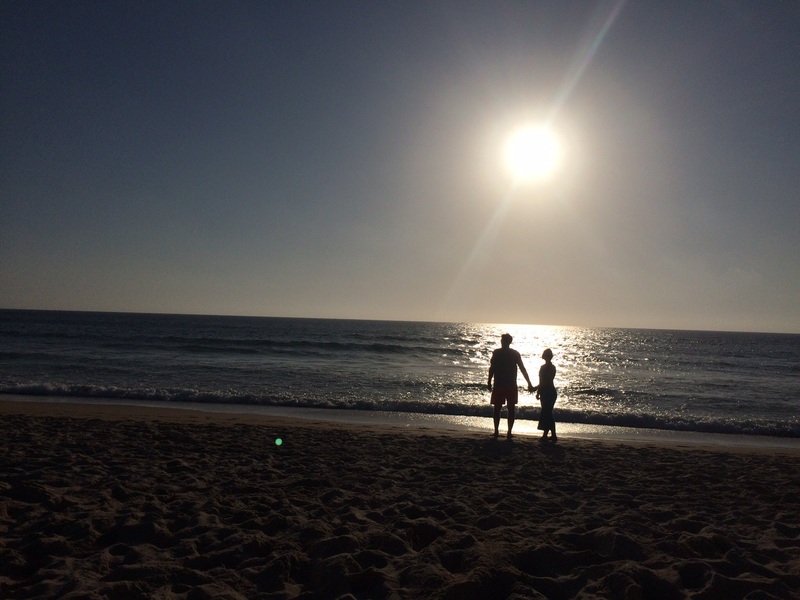 A day trip to Conselasao Beach began with local fresh pastries from a bakery aptly named Bom Pecado – “Good Sin.” Lounging on the giant expanse of sand and enjoying the late afternoon sun was the perfect way to recuperate from jet lag. 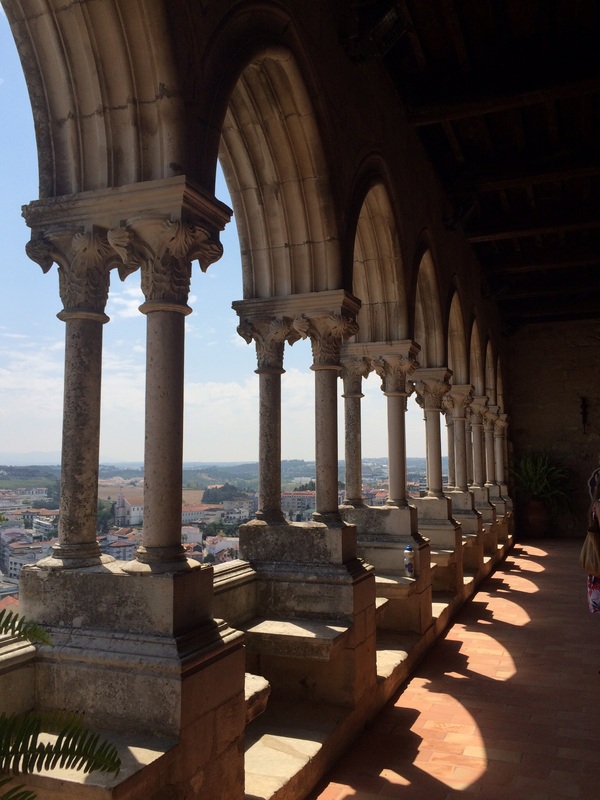 The castle fortress of nearby Leiria offered expansive views over the Portugese landscape. 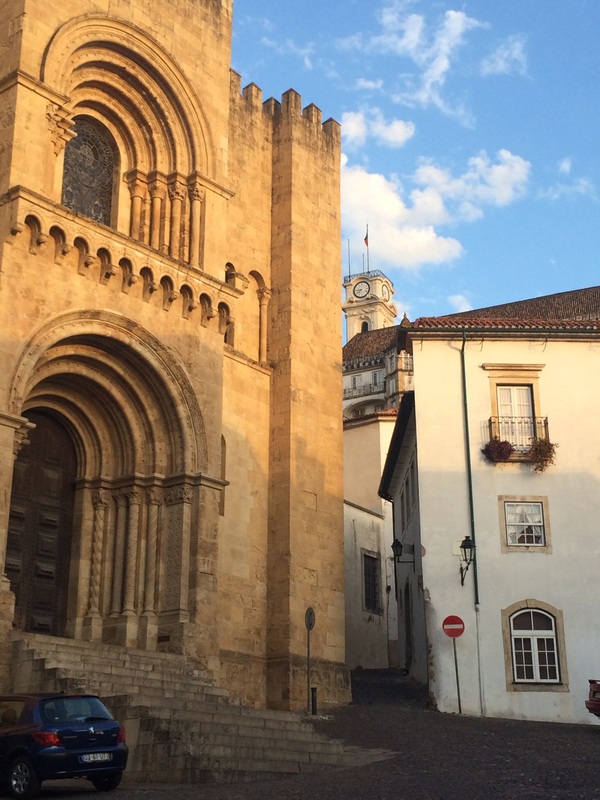 From its heights the vista was a sea of red tiled roofs over Leiria. 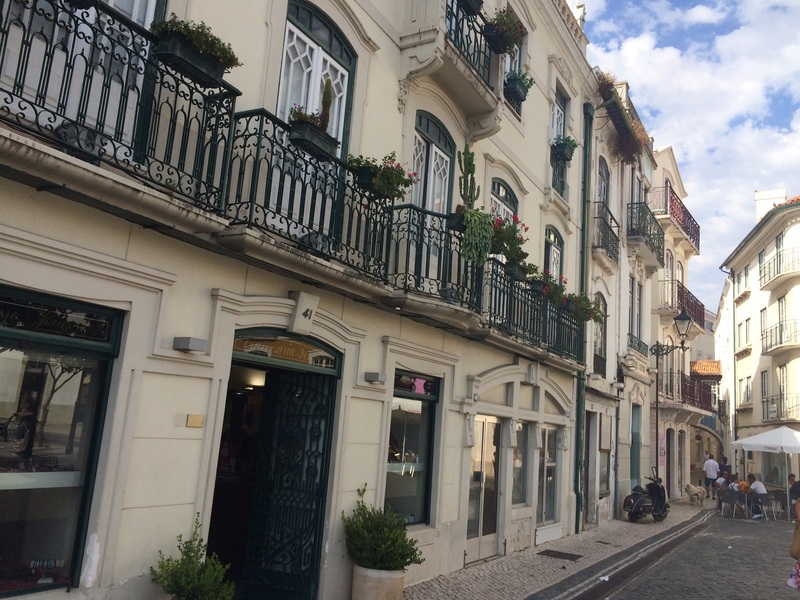 The Praza Rodrigues Lobo below was teeming with the post-siesta energy of shoppers and diners at stores and sidewalk cafés. 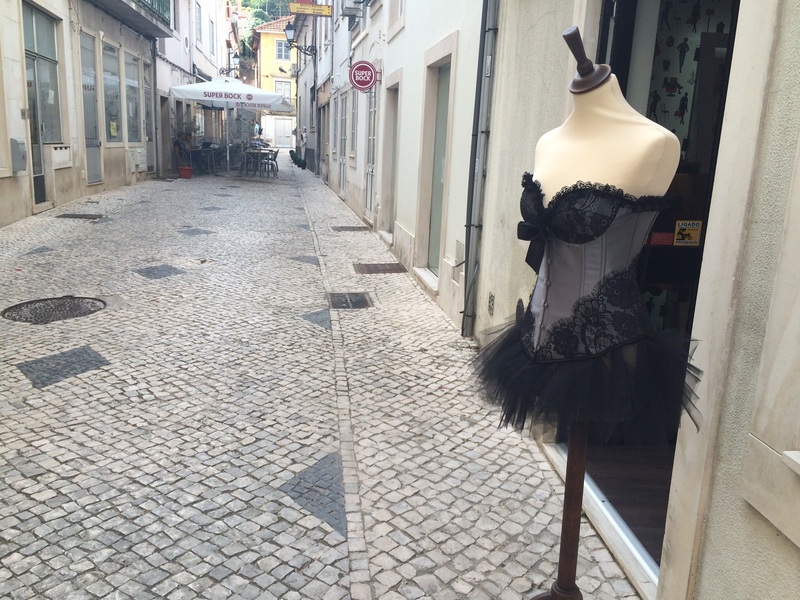 We joined in with a typical lunch of Bacalhao (codfish – which traditionally can be prepared hundreds of ways) and then strolled around the old town where we found unexpected surprises hidden in the little back streets. 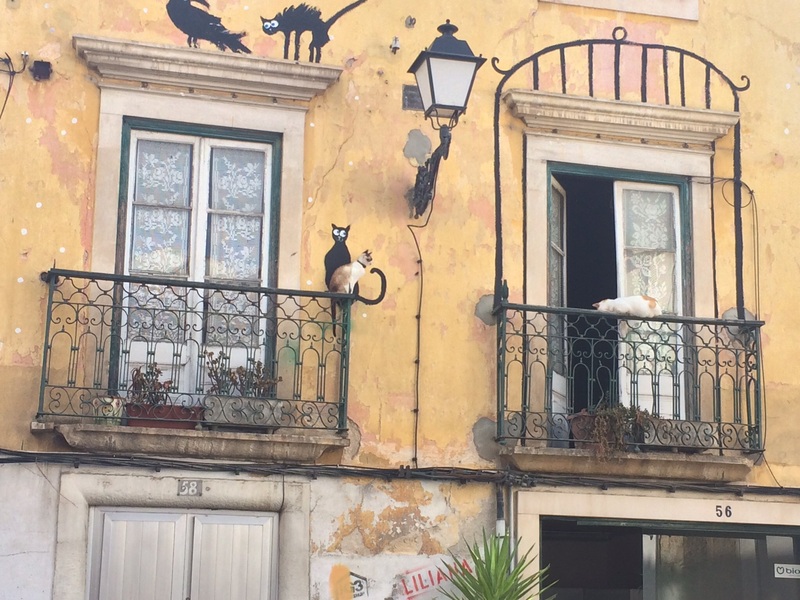 Cool photo of the cats in front of the painted cats 🙂 Nice post, too!